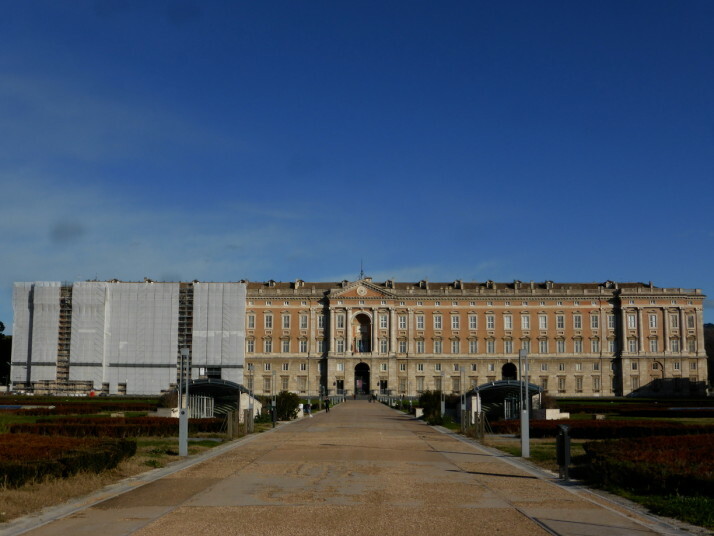 The Reggia di Caserta or Royal Palace of Caserta is the largest royal residence in the world. 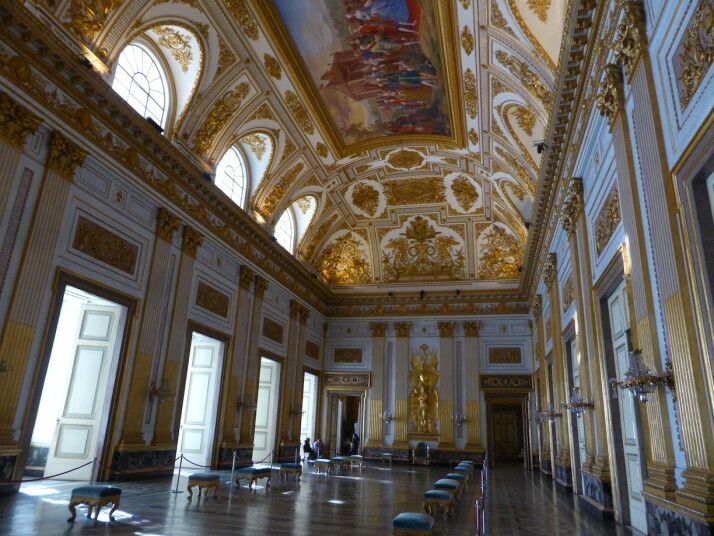 Started in 1752 by Charles VII of Naples, he abdicated just 7 years later to become becoming King Charles III of Spain before it was finished. 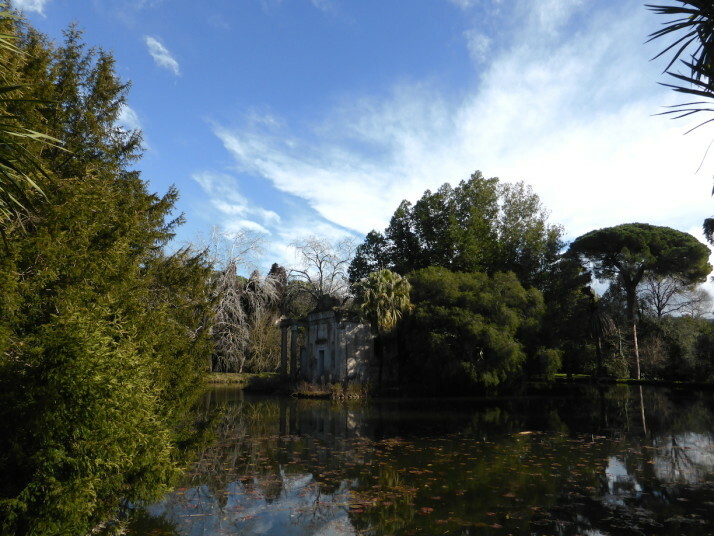 We thought we’d make the most of the nice morning and walked straight through the palace to start with the huge gardens.. 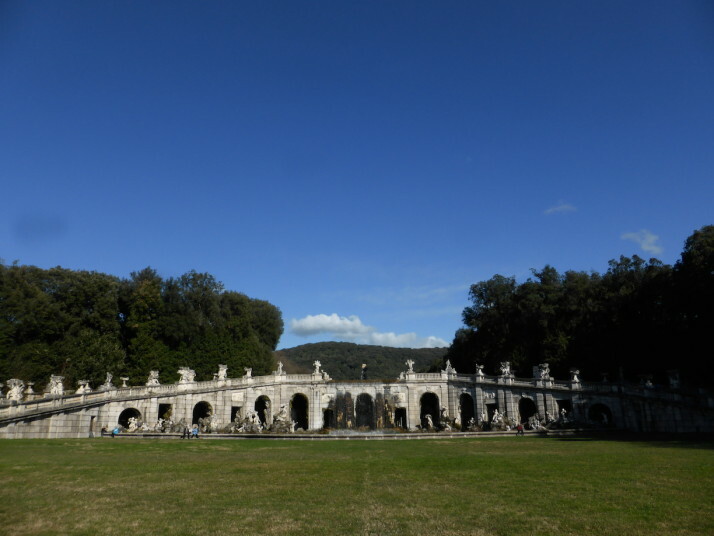 The view of the extensive gardens from the ground floor of the palace. Lovely! 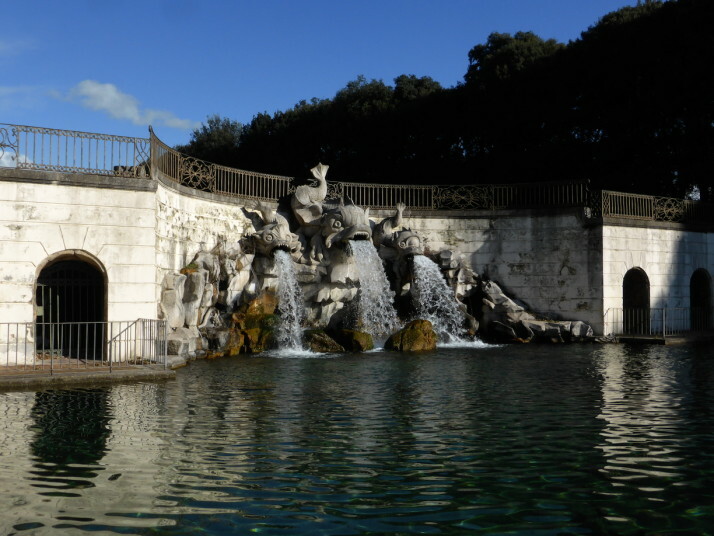 At the final fountain we found the entrance to Il Giardino Inglese – the English Garden! 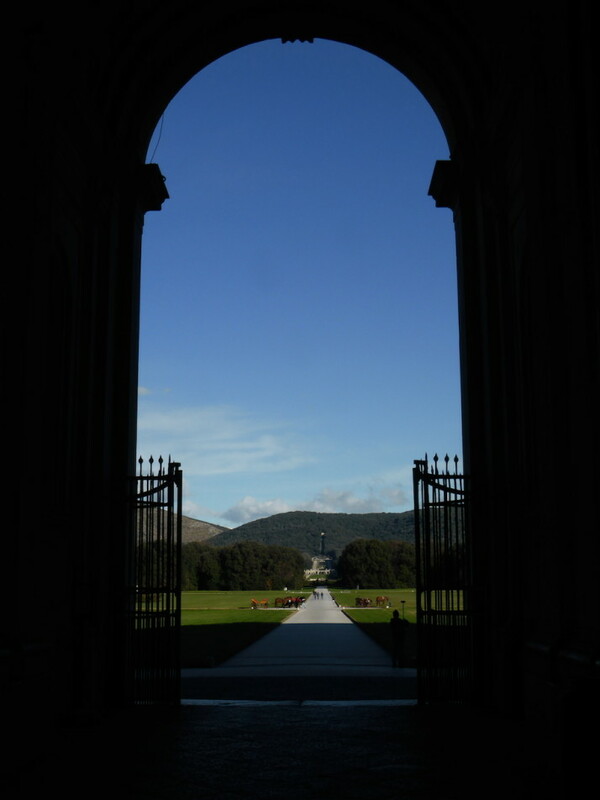 After a spot of lunch and a look around the garden’s greenhouse, we headed back down the formal cascade to check out the state and royal rooms of the palace. The first of the grand rooms on the tour route is the Sale Alabardier, or room of the halberdier (men armed with a halberd). Sumptuous! 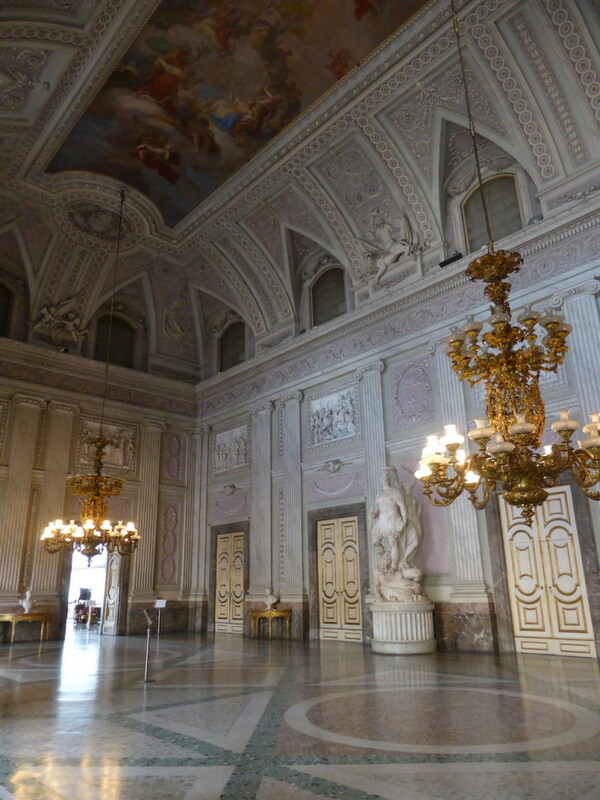 The tour route then goes through some of the more private royal apartment rooms such as bedrooms, bathrooms, studies and the library, before ending with a couple of armoury rooms and the royal nativity which is even bigger than the ones we saw on Via San Gregorio Armeno, the “Nativity Street”. 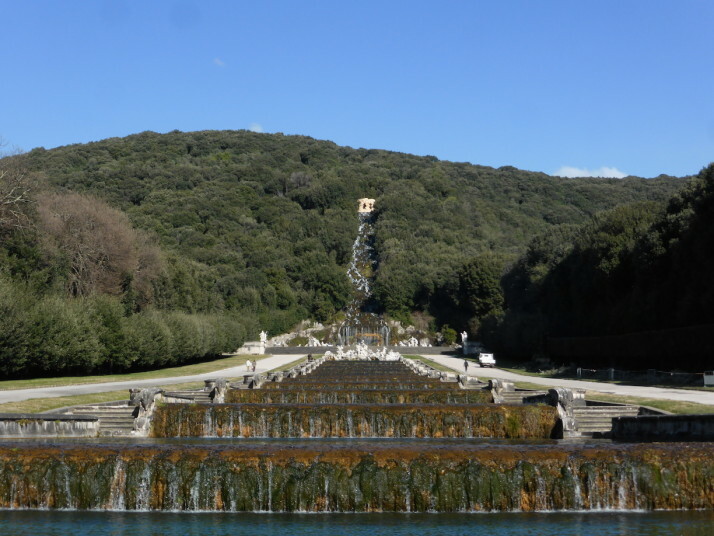 The Palace of Caserta deservedly holds UNESCO World Heritage status. We loved wandering through the gardens reminiscing about home and the other places we’ve visited on our trip that it reminded us of. 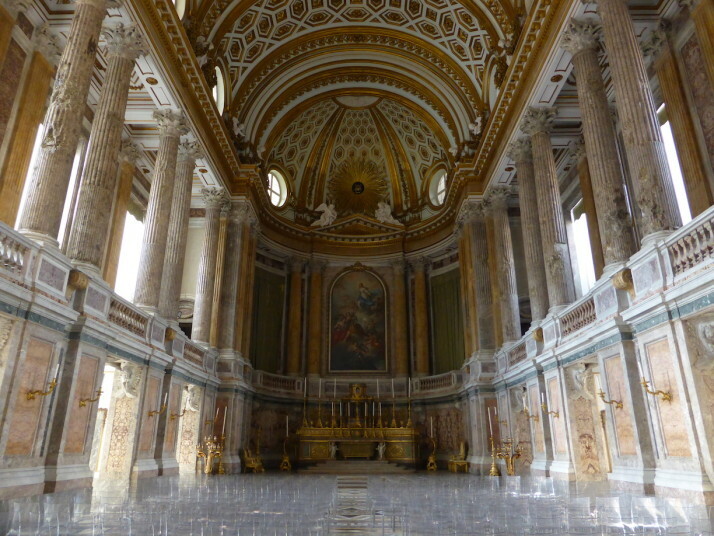 It’s also worth a final mention that you’ve probably seen it already, especially if you’re a fan of Star Wars, and it also doubles for The Vatican in the movie Angels and Demons! 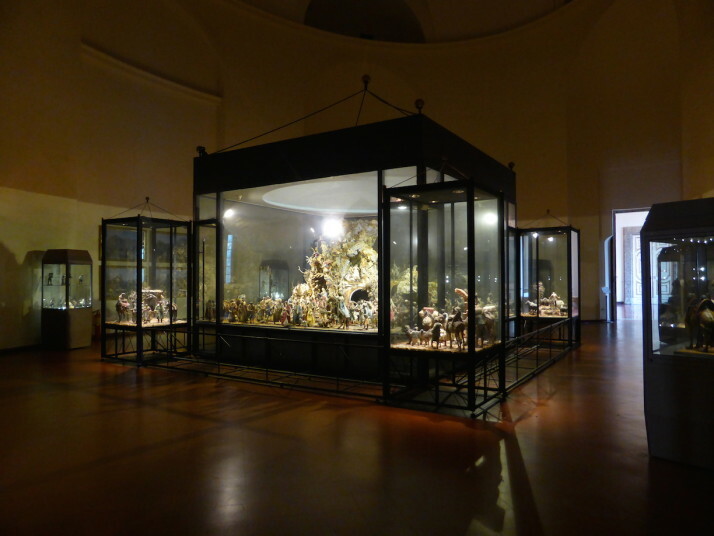 This entry was posted in Places and tagged Garden, Italy, Museum, Naples on February 10, 2015 by Andrew. It is beautiful in its form and exquisite in its detail. I am awed thinking about the workmanship and time it must have taken to achive this level of perfection. Who could fail to be impressed…?